It's always impossible for us to imagine being back in the islands when we're in Alaska. Everything here seems illustory when it's winter in Alaska and we're contemplating purchases of galley fans and other warm weather sailing accoutrements. But, at some point, here we are and our life in	Alaska	seems	to	far	away too be real. 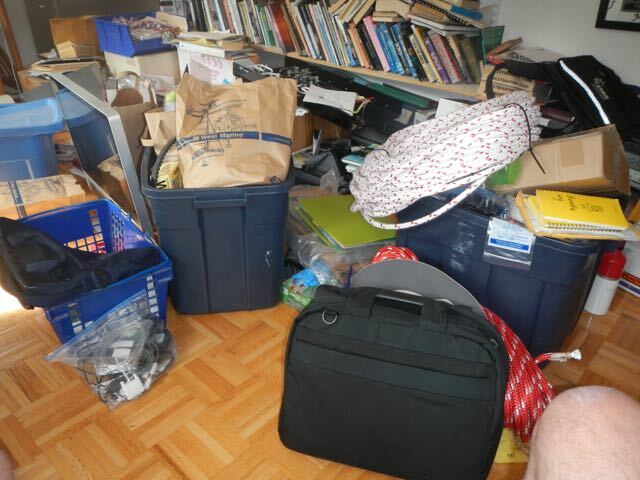 This is my office floor as we were completing our final packing. I've staged about 300-feet of new line: a new halyard in white and two new jib sheets of red. 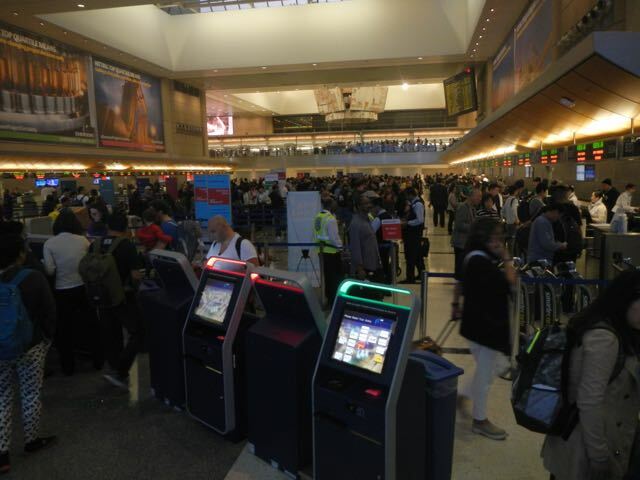 LAX International is a zoo! Most languages on Earth are being spoken here, it seems. 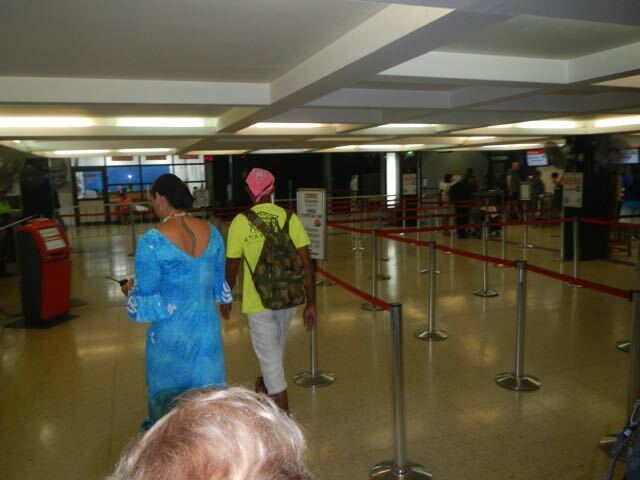 Crowds and confusion are the order of the day. 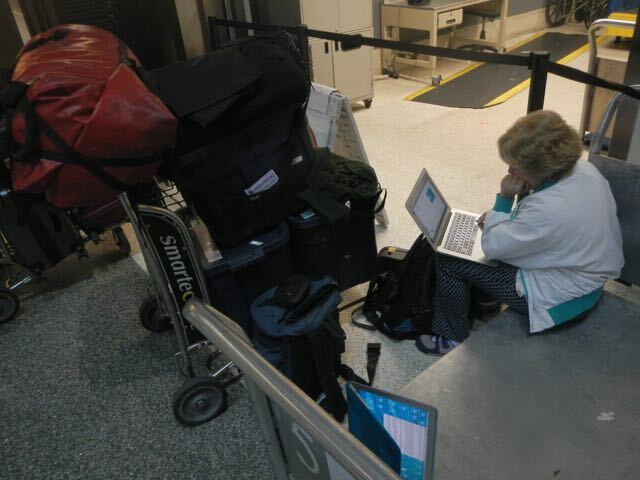 Yep, here's the gear: three blue boxes, my huge Bill Bag, and all the rest. 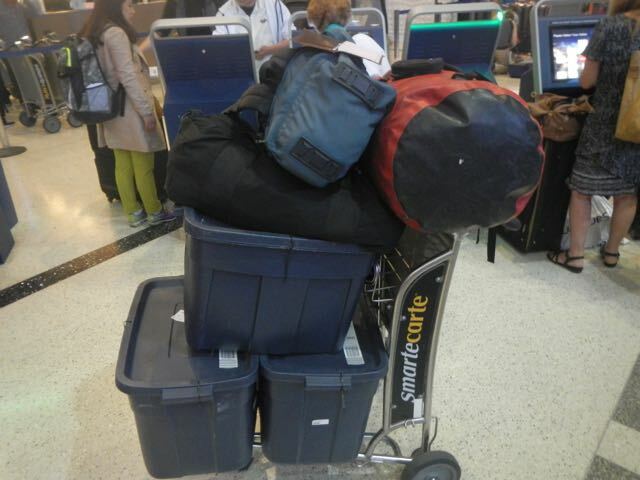 Each box and bag weighs in at just under 50 pounds. Conni and I sat on this baggage trolley until time for Air France's counter to open. 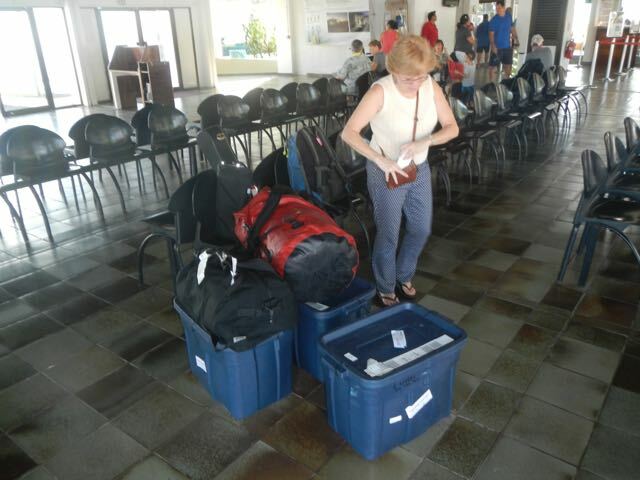 Conni awaits our gear at the Papeete baggage claim. 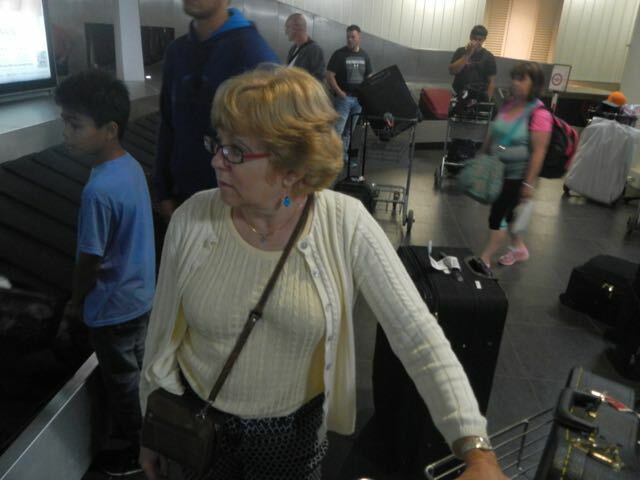 The true reason for this photo ws to show you the lovely tattoo on this Air Tahiti representative. It's sinuous and attractive as many are that the Tahitian women wear. 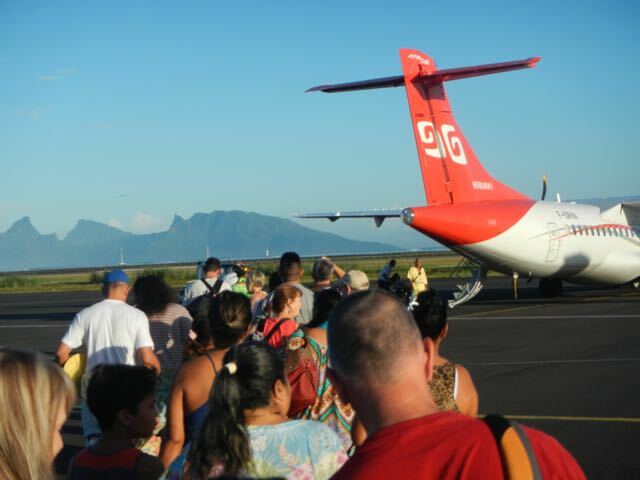 As we are marched to the aircraft taking us to Raiatea we catch glimpses of Moorea in the background. 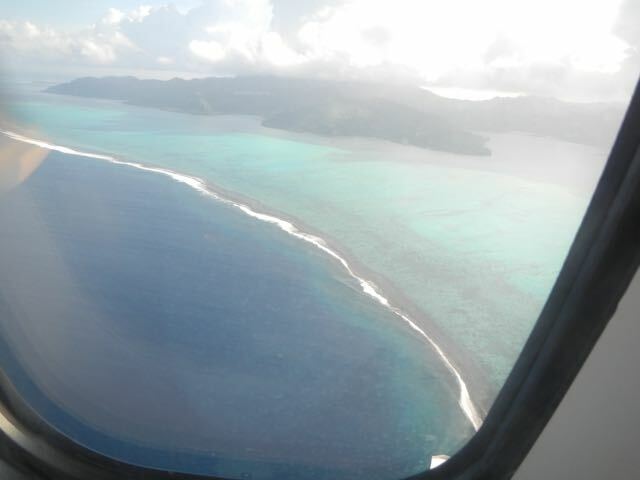 The Raiatea lagoon and extended coral reef as seen on our appraoch. 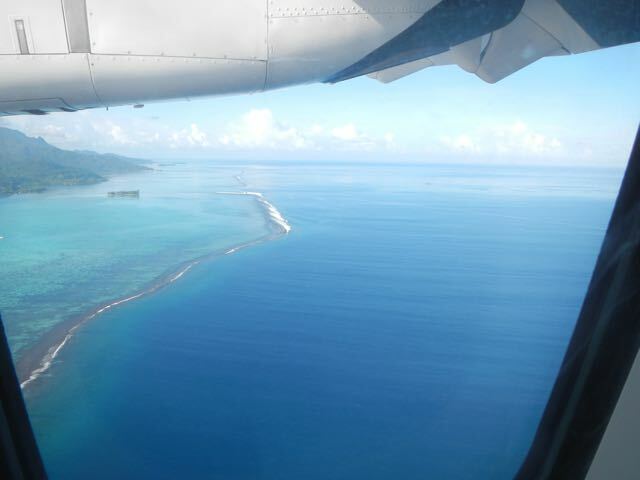 As we drop down toward the airport on Raiatea we can see more of the beautifiul lagoon and reef. 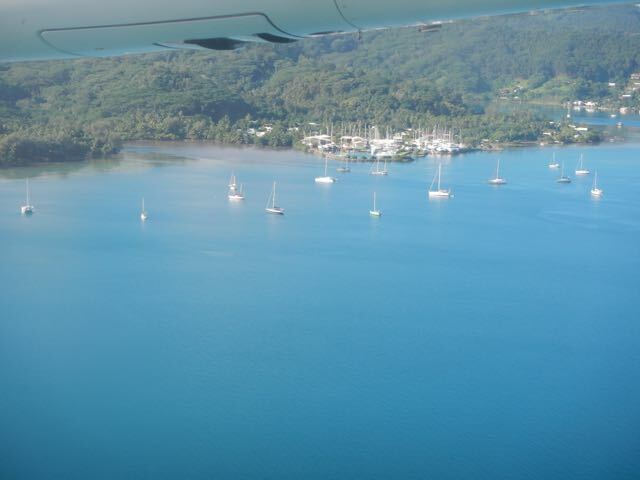 The Raiatea Carenage! We've stayed in the mooring field in the foreground and the large cluster is our boat's home. 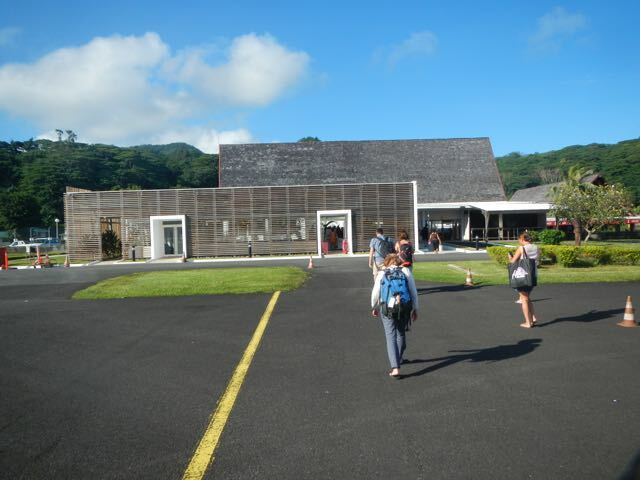 Conni strides purposefully toward the Raiatea terminal, completely open air. Conni guards the gear as I locate the remainder in the delivery jumble and haul it to her. 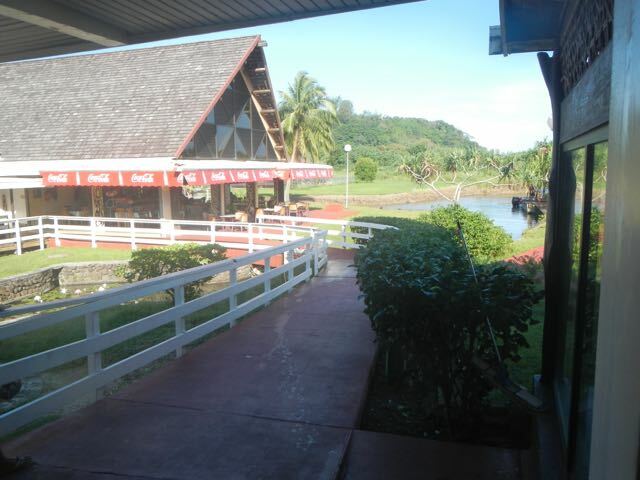 This is the small restaurant at the airport and a small slough that various companies use to haul arriving guests by boat. 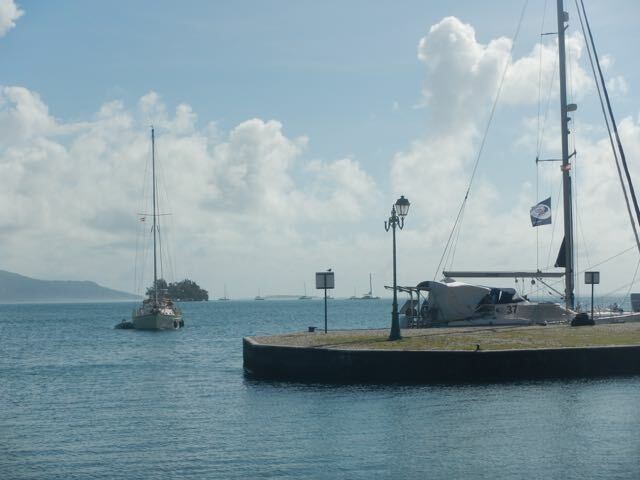 Yep, we're in French Polynesia! 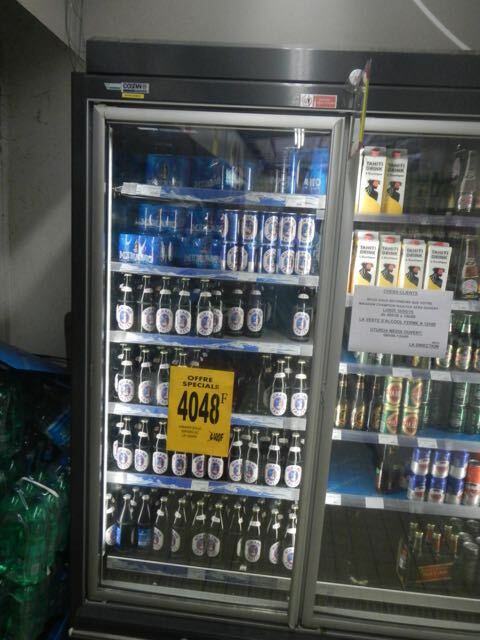 Hinano Beer, the beer of Tahiti, is for sale in returnable bottles. Leaving the Champion market I spotted this cruiser arriving for fuel, fenders at the ready and dragging in the water. 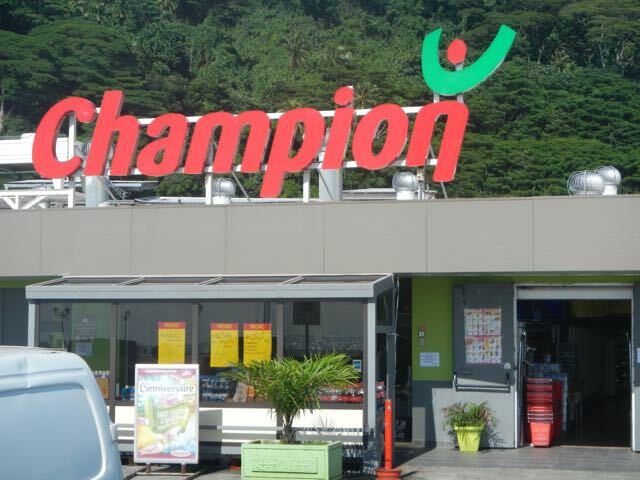 The market Champion carries a lot of Carrefour-labeled goods. 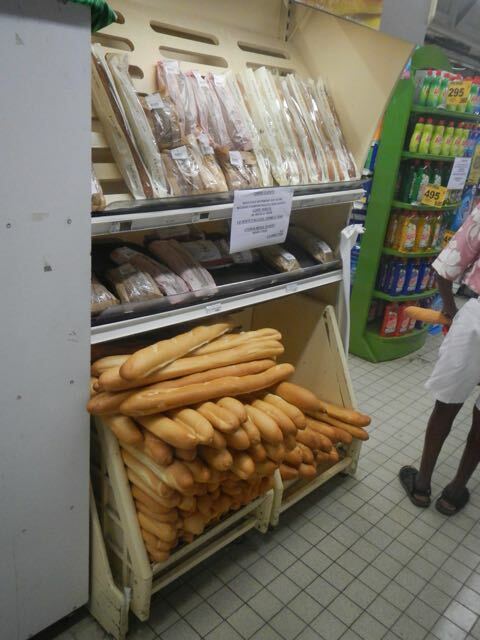 This is the largest store in the second largest town (Utaroa) in French Polynesia.